Rosemary Sassoon is an unusual person in our age of typing and texts: an internationally recognized expert on handwriting. And she brings a lifetime of study and analysis of the subject to bear on The Power of Letterforms, an extensive account of the countless ways in which the form of letters affect our everyday lives. Exploring the many different types of letterform, including handwriting, commercial packaging and advertising design, logo and book design, typography and engravings, and more, Sassoon reveals the many little-known ways in which these forms affect our perceptions and our thinking. She walks readers through what we can learn about a person from his or her handwriting, for example, or how the experience of reading a book varies widely depending on the design and layout of the letters and words on the page. Throughout, Sassoon’s examples are supported by examples of calligraphy and typography. 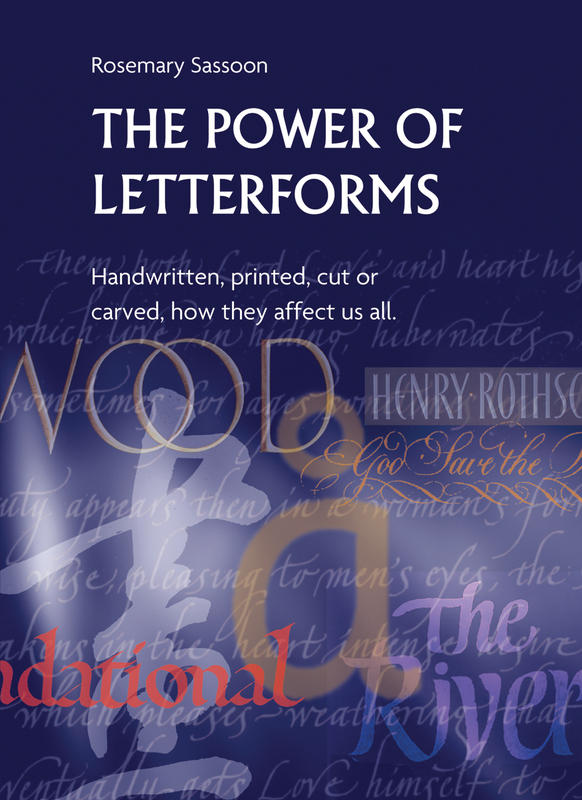 Readers will come away from The Power of Letterforms with a new appreciation of the power of the letters that permeate our daily lives. Part 3 Packaging, Advertising, Logos, Book Jackets, etc.